Anyone who knows me, knows I absolutely adore cupcakes. My apartments is littered with cupcake paraphernalia from tea-towels to teapots, cushions to magnets and everything in between. I love making cupcakes, enjoy decorating them and love to surprise people with exciting and interesting flavour combinations. The hilarious thing about it all is I don't actually love eating cupcakes. I love how they look, I love how people react to them when I make them, but in the grand scheme of things, they don't really float my boat. This morning I was pondering an alternative and interesting way of displaying cupcakes and considered some of my favourite flavours in dessert and this is what I came up with. 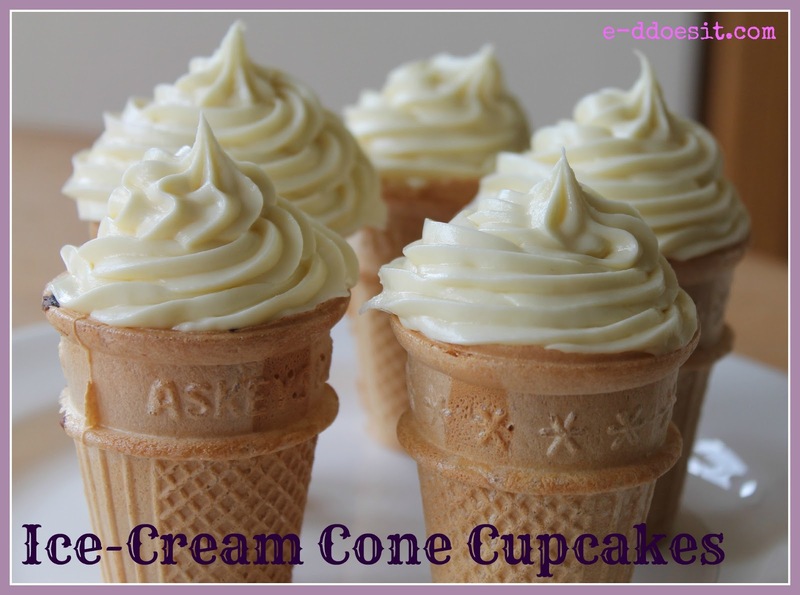 These incredibly inviting ice-cream cone cupcakes filled with raspberry cupcake and topped with a rich and indulgent white chocolate frosting. This recipe has made me reconsider my position on my love of cupcakes and that truly is saying something. 1. Preheat the oven to 170°C. Put the flour, sugar, salt, and butter in a mixer and beat on slow speed until everything is combined. 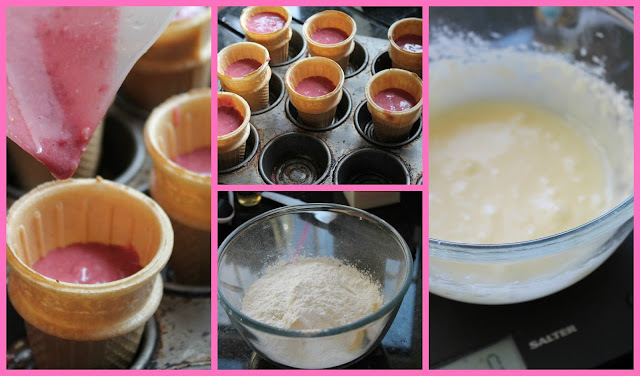 raspberries and mix for a couple of minutes until the batter is smooth but do not over mix. piping bag fitted with a medium sized star nozzle. along with the cream and mix well. further. 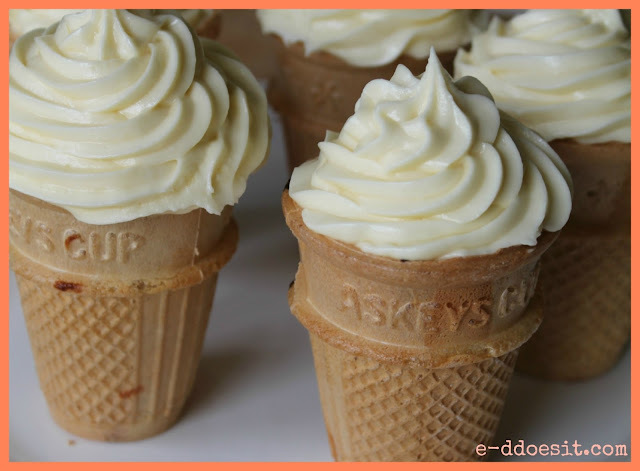 Why not add a flake for the authentic '99' look, or add some colourful sprinkles on top. the cone is cut, add a little red food colouring to enhance the colour.